Disney will roll out its streaming service Disney+ in North America in November with content from Pixar, Marvel, National Geographic and Star Wars, but it will take a further two years before it reaches all major regions. The streamer will release more than 25 original series and 10 original films, documentaries and specials in its first year, in addition to library content such as the first 30 seasons of The Simpsons, acquired as part of its deal for 21st Century Fox. The launch of the service comes amidst a raft of OTT launches including ones from WarnerMedia and Apple, and was signalled by Disney withdrawing its movies from Netflix a little under a year after its exclusive licensing deal with the streamer had begun. Original shows include live-action dramas The Falcon and The Winter Soldier from Marvel Studios, and Marvel’s What If… ?, the first animated series from the comic brand. The service, which will cost US$6.99 monthly or US$69.99 per year, will also offer the previously announced The Mandalorian, a TV series set in the Star Wars universe, as well as Elizabeth Olsen-starring Wandavision, Christmas film Noelle and a remake of Lady & the Tramp. Walt Disney Animation Studios will provide Into the Unknown: Making Frozen 2, a documentary series about the production of the sequel to the iconic film, while Pixar Animation Studios has Toy Story-based projects Forky Asks a Question, an animated shorts series, and short film Lamp Life in the works. National Geographic, due to be a central plank for the service, as reported by C21, is behind The World According to Jeff Goldblum, a documentary series where the actor explores seemingly familiar objects to reveal a world of strange connections, and docuseries Magic of the Animal Kingdom. Other scripted originals previously announced for Disney+ include The Clone Wars, an untitled Cassian Andor series starring Diego Luna and Alan Tudyk, and Marvel Studios’ series Loki, starring Tom Hiddleston. The Sound of Music, The Princess Bride and Malcolm in the Middle are also among more than 7,500 television episodes and 500 films to become available. 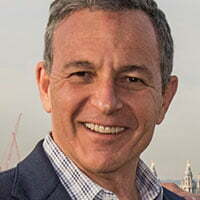 Disney CEO Bob Iger said the service “marks a bold step forward in an exciting new era for our company – one in which consumers will have a direct connection to the incredible array of creative content that is The Walt Disney Company’s hallmark. “We are confident that the combination of our unrivalled storytelling, beloved brands, iconic franchises and cutting-edge technology will make Disney+ a stand-out in the marketplace, and deliver significant value for consumers and shareholders alike,” Iger said. Subscribers will be able to create custom profiles, with each receiving personalised experiences curated to their unique tastes, based on past behaviours and preferred content.